Replace or Renovate Your Outdoor Grandstands? What’s the right decision? A wise decision is based on the Total Cost of Ownership principle. Upfront costs for renovation or retro-fit are usually less than a full replacement. Even though you may save money upfront, in most cases you will bear the additional costs for maintenance and repair in the near future. In addition, issues with CODE Compliance and safety concerns are a consideration that will likely reduce the amount of your initial savings in the near-term. Additional lost revenue opportunities should be considered as part of your decision given possible poor aesthetics of the facility and the associated lack of fan base support. Could a Small Child fall through large gaps in your old bleacher? Get a Structural Engineer’s approval before making any decisions on a renovation or full replacement project. There are several reasons why replacing your existing bleachers with new grandstands would be more cost effective than a budget restricting retro-fit or renovation. Constructing replacement bleachers is a much smoother, less risky, and economically efficient operation. 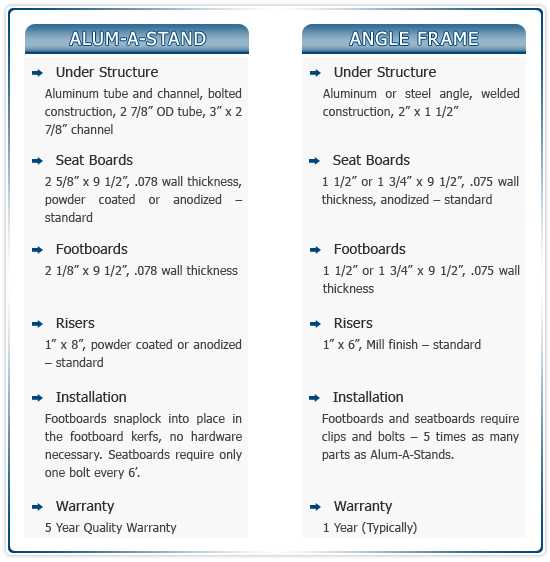 The additional cost for a full replacement bleacher, including understructure, may be less than you think. Initially a full replacement may seem like a more expensive strategy, but after considering the short and long term benefits you may change your mind. Here are a few factors to consider that likely will benefit you in the long run. Long Term Savings: Spending a little more upfront could give your program a greater return on investment. This investment will last your school 25-30 years! 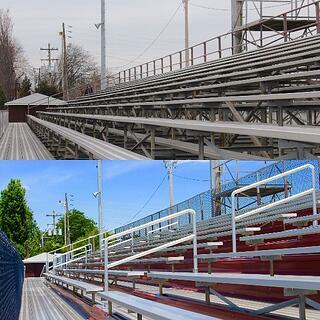 Annual Tune Ups: Completely replacing a bleacher will allow the school to significantly lower your annual maintenance costs. Aside from your maintenance inspections, the only work that may be necessary is if your rowdy student section loosens foot decking or seat boards. Color & Logos: Replacement bleachers have the ability to spell out logos or initials with matching risers in school colors giving your bleachers a sharper look. Admission $: As a school, you will feel more comfortable charging a higher price for a comprehensive seating upgrade that might include VIP chair seating. 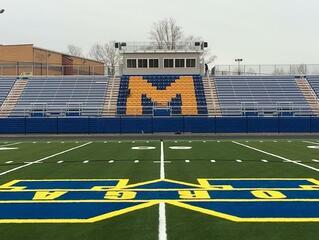 Easy Clean: New no-rust aluminum seating and decking will allow you to power wash the bleachers eliminating any rusting. Fully Enclosed Decking: Unlike most renovations, new replacement bleachers are fully enclosed that have no gaps whatsoever. This keeps trash, debris, or even personal belongings from falling under the bleacher. Renovation is a viable option if it is designed and constructed properly. Anytime your school starts to make a decision whether to renovate or replace, there are a couple cautions that need to be considered when it comes to renovation. 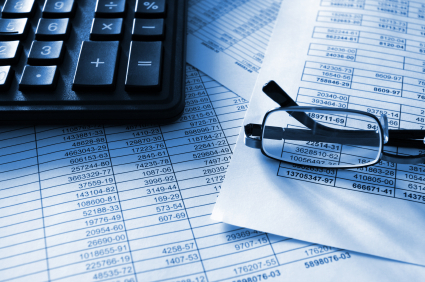 Although it may save you money upfront, fully evaluate your situation before making a final decision. Faulty Upgrade: Renovations should be more than a mere face-lift. Mixing/matching new and existing decking and bench seating will likely disappoint. Make sure to seek a subject-matter expert, like Toadvine, before making any big decisions so you don’t spend money on a faulty upgrade. Look and Feel: Renovation can sometimes leave you with a bleacher that has a multitude of different looking products. Make sure to keep all of your seating consistent so you don’t end up with a mismatched and unprofessional looking bleacher. Understructure Warnings: Make sure a structural engineer checks the understructure of the old bleacher to guarantee it will be able to hold and support the added weight of the new additions. Level Seats: With the merging of bleacher product technologies, it is not a guarantee that your bleacher bench seating will lay straight. With the constant changing of parts and pieces over the years, sections of your bench seating may not align with one another. Let Toadvine guide you through the decision making process of your new construction project or renovation upgrade. Toadvine is available to share our expertise in all phases of your outdoor bleacher projects, from design to installation and ongoing maintenance. Our experienced team, including project managers, will work with you from start to finish on all aspects of your outdoor bleacher projects. Call Toadvine for a full evaluation of your current grandstands. Set up an appointment to meet with our expert team to discuss all the options. Let us put you in touch with other clients that have made similar decisions. 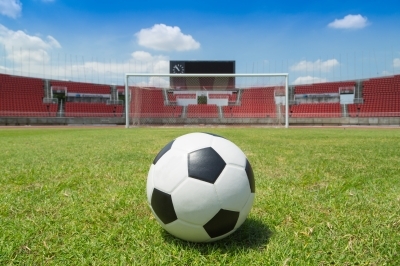 Why Does Having a Great Sports Facility Matter? Every kid dreams of playing on a state-of-the art ball field or football stadium. That’s probably because most of us started out playing on a Sandlot-like mound of dust with a broken fence and worn out bases. You have to start somewhere, but by the time you’ve grown and reached the high school and collegiate level, you’ve probably moved passed the Sandlot and have set your sights on something much bigger. 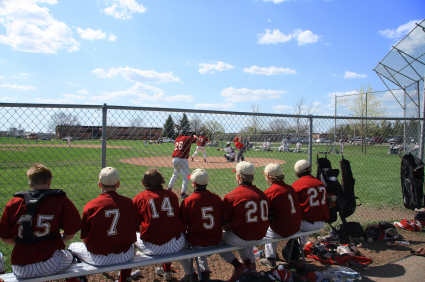 There’s a sense of pride, ownership, and camaraderie that comes with playing on a great looking field. But looks aren’t the only thing that matter. Yes, Toadvine Enterprises can transform your stadium into your players’ dream field, but even more than that, we can also make it a safe, secure spot for your players and spectators. Worn out bleachers and faulty support rails are a hazard and should be inspected and maintained before each season. Here at Toadvine Enterprises, we know what it takes to give your school and its teams the feeling and confidence that comes with having a great sports facility. 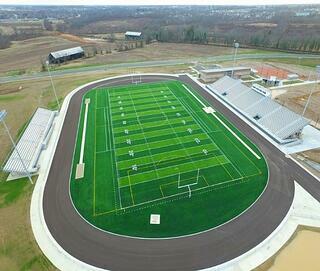 Giving your athletes a stadium to be proud of will allow them to have a greater appreciation for their school, while boosting morale and school spirit. But more importantly, we can ensure your facility is safe for your fans and up to code. Call Toadvine Enterprises today to learn more. Summer break and warm weather are only days away. Now is the time to make decisions on the new athletic equipment you will need for the following school year. With fall sports seasons on its way, this is the perfect time to look at new soccer goals, new scoreboards, replacing old portable bleachers, or even look into touching up those old bleachers with our state-of-the-art cleaning program for outdoor bleacher decks. If your bleachers are looking old and worn out or are not working properly, summer is the time to get your indoor bleachers back in proper working order. Toadvine Enterprises has a team of bleacher specialists who are familiar with all makes and models. 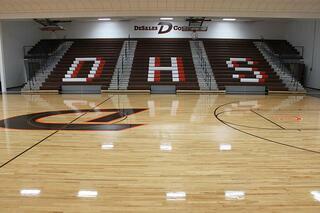 Our team will fix your old bleachers and get them looking and working like new. Make sure to call our office at 502.241.6010 or request a quote on our website to find out more about our products. Right now Toadvine is making a special offer to all schools. 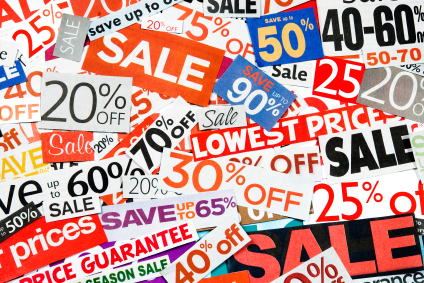 On any purchase over $500, you will receive 5% off. On orders $1,000 or more, you'll receive 10% off your order. Hurry because this offer expires June 15. Contact us today!